In an interesting turn of events on Guddan – Tumse Na Ho Payega, Rawat tries to convince Guddan that AJ is the reason for Antara’s death. However, Guddan sides with AJ and warns Rawat to stay away from her husband. Unable to get Guddan’s support, Rawat sneaks into AJ’s room and poisons his drink. Watch what happens next in the upcoming episode where a drunk Guddan confronts AJ! In an attempt to save AJ, Guddan fakes a slip and breaks his glass. To escape his wrath, Guddan ends up drinking alcohol from Rawat’s glass. But ain’t that Guddan’s typical Guddanpana? Things get a little messy for AJ as he tries to take care of a drunk Guddan who gets out of control. Her antics definitely don’t seem to go down well with AJ. Making things worse, Guddan gets into a heated verbal exchange with Rawat. Will she finally tell AJ about Rawat’s intentions? Will Guddan’s drunk diaries go down well with AJ? Stay tuned to never miss a beat on Guddan – Tumse Na Ho Payega. 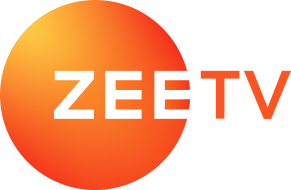 In the meantime, binge watch episodes of your favourite Zee TV shows on ZEE5, anytime, anywhere! Watch Richa Chadha In Cabaret, A Thrilling ZEE5 Original Series About A Dancer!